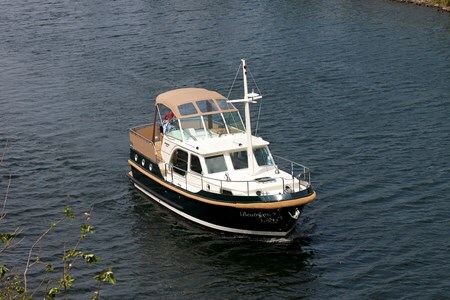 The Linssen Sturdy Classic 32 AC is a very comfortable boat which can be sailed without a license. It is perfect for 2 couples or for a small family. Make a cruise and become the captain!